Europe talks of a Neo-Tsarist Russia, now we hear of a Neo-Ottoman Turkey. Are we seeing at Europe’s outskirts leaders longing to pre-WWI empires? Last October, Etyen Mahcupyan, a leading Turkish Armenian intellectual, “liberal” writer and columnist, was appointed as “chief advisor” to Turkey’s Prime Minister, Ahmet Davutoglu. At first glance, this was good news in a country where Islamists privately adhere to the old Ottoman millet system, in which non-Muslims were treated as second-class (if not third-class) citizens. In reality, Mahcupyan was a reincarnation of the Ottoman “devshirme” system, in which the Ottoman state machinery produced several non-Muslim converts who enjoyed a place in the higher echelons of the palace bureaucracy, and the finer things of life, because their pragmatism earned them excellent relations with the ruling Muslim elite. Mahcupyan admitted that if Turkey’s Jews felt alienated, it was the government’s responsibility to do something about that. What more? “I have lived through this personally for the past 60 years,” he explained. “Among Turkey’s non-Muslim minorities, including Jews and Armenians, there is an opinion about humiliating Muslims.” As Mahcupyan’s statement is not true, it therefore just seems a way to justify Islamists’ intimidation of Jews. Next, Mahcupyan argued, “Both Jews and Armenians are better-educated [than Muslim Turks] and more open to the West. And this brings in a feeling of superiority complex.” In this view, daily attacks on Turkey’s Jews and other non-Muslims happen because Jews and Armenians humiliate Muslims — they are better-educated than Muslims and hence their superiority complex. The charge is, at best, silly. As in Ottoman times, just one unpleasant utterance can suffice to end a devshirme’s career in government service. Immediately after his remarks became public, EU Minister Volkan Bozkir expressed unease, saying that “Mahcupyan’s description was not appropriate for his title of adviser.” But that was not the only price Mahcupyan would have to pay. A few days after his remarks on genocide, Mahcupyan “retired” as chief adviser to Prime Minister Davutoglu — after only about six months in the job. Officially, Mahcupyan had retired in March after turning 65, the mandatory retirement age for civil servants. But it was an open secret in Ankara that his departure came simply because Turkey’s Islamists were not quite the liberals he had claimed they were. The “Mahcupyan affair” has a message to Turkey’s dwindling non-Muslim minorities: Just like an Ottoman devshirme, a non-Muslim can rise and become a darling of today’s neo-Ottoman Turks. He can win hearts and minds in important offices in Ankara — and a bright career. But to maintain his fortunes he must remain loyal to the official Islamist line, both in deed and rhetoric. Just one unpleasant utterance would suffice to end a devshirme’s career in government service. Apparently Esayan is happy with Turkey’s neo-Ottomans and their Islamist rule, including their rigid policies of genocide-denial, which he claims have done good to Turkey’s Armenians and other non-Muslim citizens. Etyen Mahcupyan may have been punished, but Markar Esayan is being rewarded for his loyalty: he has been selected to run for parliament on the ticket of Prime Minister Davutoglu’s party! November 9th in history – The Kristallnacht in Germany and Austria, The Great Black Out in the USA and Canada, The Fall of the Berlin Wall, and other events. ON THIS DAY The New York Times reminds us in its only notion: On Nov. 9, 1965, the great Northeast blackout occurred as several states and parts of Canada were hit by a series of power failures lasting up to 13 1/2 hours. But then there was another event – and this one did not rate an article by The New York Times – Nov.9. 1938 – the infamous exercise in terror that would be called “Kristallnacht,” or “the Night of Broken Glass,” because of the cost of broken glass in looted Jewish shops—$5 million marks ($1,250,000). This was when Synagogues were burned and some Jews killed – the beginning of the Holocaust Germans and Austrians imposed on Europe’s Jewry. In effect one can say that the Kristallnacht and the Austrian “Anschluss” (Mar 12, 1938 when German troops marched into a willing Austria) set in motion the Hitler’s campaign to impose Germany on Europe. Yes, the German lost WWII and a US/British/French/Soviet Peace was imposed over Europe. Germany’s occupation by the four “Victors” was a division into four Sectors and it ended up as two divided states – the former US, British, and French Sectors turned into West Germany, the former Soviet Sector into East Germany. The Fall of the Berlin Wall – a development started by a Hungarian Government that was ready to help East Germans escape, at a time that a Soviet Government under President Mikhail Gorbachev did not think it was worth opposing it, helped reunite Germany and make possible a renewal of German strength. Germany became a motor for the unification of Europe and eventually history will show that what the Germans could not achieve by going to war against Europe – they did eventually achieve since the the Fall of the dividing Berlin Wall and the creation of the EU. But does this allow others to forget the Holocaust? Strangely, it seems today that Germany and Austria are not afraid of recognizing their people’s past savagery, it is the American media that does not see the way those historical events connect. We pick some other historical events that occurred on November 9th – our choice was so that we looked to some relevance to above mentioned three events. The list we found had 173 listings. 1848 – Robert Blum, a German revolutionary and MP (Liberal), is executed in Vienna. 1932 – Riots between conservative and socialist supporters in Switzerland kill 12 and injure 60. 1998 – Brokerage houses are ordered to pay 1.03 billion USD to cheated NASDAQ investors to compensate for their price-fixing. This is the largest civil settlement in United States history. 2003 – A suicide-terrorist attack in Riyadh, Saudi Arabia, kills 17 people. 2013 – María Gabriela Isler, a 25yo Venezuelan, is crowned Miss Universe 2013 – Isler visited Austria to help crown the winners of Miss Austria on July 3, 2014 – she probably is a descendant of a Jewish refugee who escaped the NAZI world. Outgoing EU Commissioner Johannes Hahn, Austria, is happy with his “legacy” as he hands the European Neighbourhood policy dossier to his successor Corina Cretu of Romania. EU regional projects see ‘encouraging’ shift in focus. BRUSSELS – As he finishes up his mandate as EU regional affairs commissioner, Johannes Hahn says his “legacy” is getting member states to spend money on the real economy rather than hulking infrastructure projects. Under his watch, rules governing how regional aid money – running to €325 billion between 2014-2020 – is spent were given a shake-up to encourage projects in line with the EU’s long-term economic goals. Adopted at the end of December, the new rules have already resulted in a big decrease in spending on traditional infrastructure – such as roads – and a leap in spending on green and ICT projects. “We see a clear shift from investment in infrastructure towards stimulation of the “real” economy,” Hahn told this website, adding that this is “encouraging”. Analysis by late September of the plans of various regions have showed that there was a 22 percent rise in spending (to €125bn) on projects dedicated to research & development, innovation, ICT, small businesses, and low-carbon economy compared to the last budget cycle (2007-2013). Spending on transport and other major infrastructure has sunk by 21 pecent, to €60bn, while member states such as Belgium, Croatia, Italy, Portugal, and the UK have made helping small companies a priority. On energy security and green projects specifically, the chunk of aid money has more than doubled to €38 billion. Hahn notes that while the more stringent rules mean that getting spending programmes agreed is more time-consuming, the “insistence” on focussing on what results will be achieved rather than just whether money will be spent is “very valuable”. “Member states will have to spell out what they want to achieve and by when, and be monitored whether those results are there,” he says. And while he admits that the rules are still complicated – or not simplified “as much as we might have wished” – leading to grumbling by some local authorities, he says member states themselves are just as much to blame. 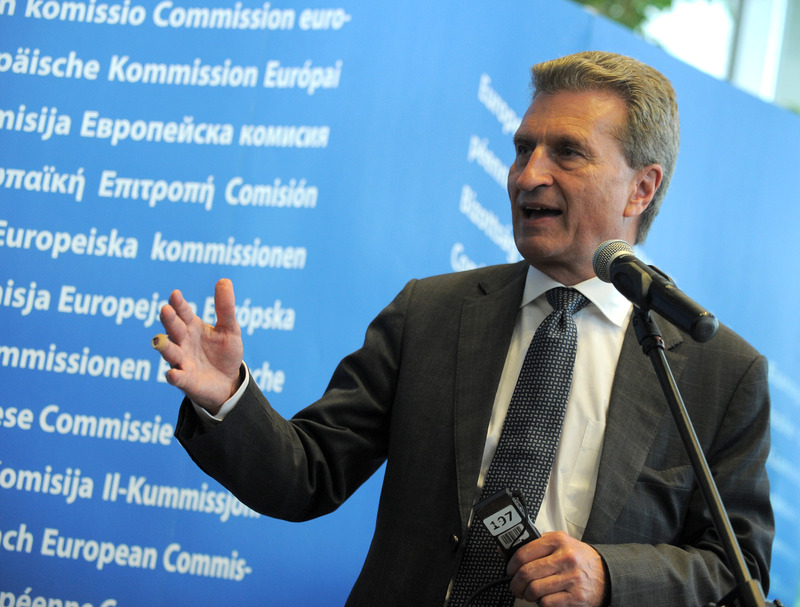 On tying funds to good economic governance – a controversial innovation to the rules – Hahn said stopping EU aid because a member state is fiscally misbehaving would be a “last resort”, but underlines that “investments will deliver more in the context of budgetary discipline”. The Austrian politician, who is due to take over the European neighbourhood policy dossier from November, declines to give advice to his successor candidate, Romania’s Corina Cretu. But he does suggest that, in future, GDP – or how rich a region is – should not be the only criteria for determining whether it should qualify for EU money. “Other measures such as innovation performance could be taken into account,” he says, indicating that being a forward-looking region with clever ideas should be enough for a shot at EU aid. Timisoara, in Romania’West – a story of economic success with nearly full employment that pushed for higher skills in order to bring in new foreign investment. We picked the following article from the Austrian Erste Foundation Newsletter . We were intrigued by the fact that in Timisoara, Romanian West, there is nearly full employment and this makes for the need to change demands of worker skills in order to help bring in new investors when there is shortage of local labor. At first the city grew after ouster of communism the usual way – it provided cheap labor to foreign investors. But since the 2008 economic crisis in the EU, above had to change and the level of skilled labor increased. The mayor dtill complains that not enough people can be offered to new investors, but nevertheless, as a total – the city is doing very well in the EU that evolves from the crisis. This is thus 2.0 in Timisoara’s post-communist economy. We are anxious to report on Timisoara 3.0 which will come when it will be obvious that industry has to take in consideration the environment. We say this when looking at the photo posted here. In conditions of near full employment, labour is hard to find. Diaconu was twelve years old in 1989, the year Timisoara became famous as the birthplace of the Romanian anti-communist revolution, which precipitated the fall of the Ceausescu regime. He was a student in the 1990s when the first Italian investors, mostly smaller businesses looking for cheap labour, arrived in Timisoara. When he graduated from the local Polytechnic University in 2000, the first multinationals, Siemens and Alcatel, had arrived in town. Many of his colleagues went to work for them. Diaconu decided instead to manage social projects, focusing on the plight of young people. In 2007, while Diaconu was running EU projects, the BBC called Timisoara a “revolutionary boomtown.” More than 2,600 Italian and 1,500 German companies had settled in the city. There was a growing number of multinational companies, from the tire maker Continental to the consumer goods giant Procter & Gamble. By this point, finding workers was already a challenge. Romania’s membership of the EU in 2007 seemed to promise a continuation of this growth trajectory and an eventual catching up with EU living standards. It was a promise that seemed plausible until 2008. In the six years after Romania started its accession negotiations, GDP per capita rose from 30 to 47 per cent of the EU average. Romania remained poor, but salaries were rising. A new middle class – university graduates employed by multinational companies – found itself with money to spend. It began heading off with low-cost airlines for weekend trips. Timisoara airport offered daily direct flights to more than 20 European destinations. Then, in late 2008, the European economic crisis hit Romania. Convergence with the EU stopped. Salaries ceased to rise. The citizens of one of the EU’s poorest economies were left to ponder whether the dream of “convergence” had gone. Florentin Banu, a casually dressed man with a firm handshake, has a remarkable story to tell. In 1994, he started producing wafers in a garage. The company and its “Joe” brand became so successful that Nestle bought it (and still today sells “Joe” wafers). With the proceeds, Banu started a local supermarket chain. He nearly went bankrupt, and had to bring in additional investors before the chain turned profitable. In 2005, he sold his share in the chain (now owned by French retail giant Carrefour). He started two new businesses from scratch: Banu Construct, a real estate developer, and Interpart, producing plastic parts. By 2008, before the crisis, Banu Construct turned in annual profits of more than a million Euros. Interpart made losses of half a million. At that time Banu said: “If I was interested only in money, I would only do real estate.” But with his passion for management, he persisted in his efforts to turn Interpart into a profitable company that would supply the automotive industry. It was a far-sighted decision. In late 2008, the construction sector imploded. Banu dryly lists the facts: “The demand for flats and real estate fell by about 90 per cent. The prices gave way by 50-60 per cent. Land prices decreased even more.” Banu’s company had just purchased a huge piece of land where he planned to build 300 flats. The land price was €200 per square metre. “Today it is worth 60 or 70.” Banu Construct only survived because it could cover its losses from profits accumulated in the pre-crisis years, and by shrinking dramatically. Of 170 employees, only 30 remain. Banu is “proud that we are still standing.” Of the bigger real estate developers in town, all but two went bust. Interpart, Banu’s other company, has grown, however. He moved the factory premises to an industrial suburb southwest of Timisoara. The new building includes offices and even a flat, where Banu now lives. “It is very practical.” Down in the production hall, visitors are walked along a row of precision instruments producing metal moulds. Across the other side of the hall, large machines use the moulds to produce plastic parts of diverse shapes and colours, which drop continuously into large plastic boxes. Banu’s story, combining success, defeat and innovation, is telling. A lot has changed in Timisoara’s economy since 2008. One whole sector, construction, collapsed. Others, like IT and transport, have grown. Industrial producers have adapted. Domestic purchasing power, driven by credit growth, took a hit during the crisis and is only slowly recovering. Many smaller companies lacked the resources to survive the crisis and have had to close. However, with its focus on manufacturing and export, Timisoara weathered the crisis better than less industrial areas of South East Europe. The automotive industry was particularly hard hit by the global financial crisis. Sales collapsed. The suppliers based in Timisoara first introduced shorter working hours and compulsory leave, before beginning to shed workers. Their headquarters quickly realized, however, that it made little sense to close efficient and cost-effective plants in Romania. Within six months, the industry was in full swing again. In 2008, Dräxlmaier employed 2,000 people in Timisoara. They manufactured cable harnesses for higher end cars like BMW. Harnesses are a complex product, comprising all the electric cables in a car. “Every harness is different, depending on the specifications of the car,” Popovici explains. “In each car, you find 1.5 to 2.5 kilometres of cables.” Since 2008, Dräxlmaier has relocated the more labour intensive production steps to Serbia. In Timisoara, they invested in the automation and mechanisation of production and now mainly produce motor harnesses. “Few plants in this sector are technically as equipped as we are here. While since 2008 we have reduced our staff from 2,000 to 800 people, efficiency has risen,” says Popovici. “There is a constant battle to remain competitive,” he adds, pointing to new machines in the huge production hall. The fact that household incomes have not grown for many years is reflected in the city’s overall mood. Many people are slightly worse off than five years ago. There are many challenges for businesses: administrative hurdles, a shortage of skilled labour. And yet, it is not difficult to imagine Timisoara as a prosperous, bustling, global industrial centre a decade from now. This cannot be said for many cities in the region, and certainly not for those across the border in Serbia, where membership of the European Union still seems a distant prospect. There, politicians will continue to envy Dan Diaconu for his problem – convincing outsiders to keep investing under conditions of almost full employment. To the Hooligans of the Middle East and Middle West we add now those history trained from East Ukraine and West Ukraine as further justification for the enlightened people that thrive for Sustainability – the absolute need for a Jewish National home in Israel. A vandal firebombing the Nikolayev Synagogue, in Ukraine, on April 19, 2014, as recorded by closed-circuit security cameras. Photo: Screenshot / Yisroel Gotlieb. The Nikolayev Synagogue in Ukraine was reportedly firebombed by vandals at approximate 2 AM on Saturday morning, according to Chabad blog Shturem and closed-circuit footage of the attack, uploaded to YouTube at the weekend. The footage was posted by Yisroel Gotlieb, son of the city’s chief rabbi, Sholom Gotlieb. One firebomb was thrown at the door of the synagogue, which was unoccupied at the time, and another was lobbed at a window, according to the blog. In February, the Giymat Rosa Synagogue, in Zaporizhia, southeast of Kiev, was also firebombed. Reports of rising anti-Semitism in the Ukraine after Russia’s recent occupation of Crimea were highlighted last week when fliers, reminiscent of the pogroms of a century ago, were distributed outside of a synagogue on Passover. The origin of the fliers is yet unknown, and debate has focused on whether they were from Russian or Ukrainian groups, from officials or designed to appear so, or if they were intended as some kind of a KGB-style subterfuge created to use anti-Semitism as a lever in the conflict. The fliers, distributed in Donetsk, were addressed to “Ukraine nationals of Jewish nationality,” alerting Jews to pay a fee to register their names on a list and to show documentation of property ownership, or face deportation. If one hair from one Jewish head will fall, the IDF will take good care of those anti-semities Bastards!! They really don’t know who are they dealing with?? What happend 70 years ago will NEVER happen again!! What is it about this you don’t understand? Israel must always be there! This behavior is expected from Ukrainians. The Breslovers must stop patronizing Ukraine by peregrinating there. Better rremove the remains of Rabbi Nachman and bury him in Israel. Many of us regrettably have such short memories. We should ask ourselves why so many concentration camp guards and auxiliary troops were Ukrainian and were often more ruthless than their German compatriots. This part of the world has been a hot bed of anti-semitism for centuries past and anti-Jewish animus remains well entrenched in the psyche of the populace. Not one Jew should have taken up residence in the Ukraine after the Second World War. Those of us who went through the Holocaust, know from personal experience, when the ugly demon of anti-Semitism once again rears its head. The Ukraine is no longer a home for a proud people…the Jewish people. It is difficult to leave a homeland, but in this situation, the real homeland is Israel..
A message from On High to get out of there. A message from On High to get out of therre. I thought the flyer and all the antisemetic stuff from the Ukraine was fake. Ha–I do not want to say that I told you that those Ukranian bastards were bad, but I told you so. This is precisely why I have said from the beginning, that I hope the Ukraine-Russia situation becomes the same as the Iran-Iraq War–for 9 years. If you think this Ukranian firebombing of a synagogue is bad for Jews, you should only know what their hero–Bohdan Chmelnitzky did to the Jews in the 1600?s. A whole lot worse than the Nazis and Hitler–yet that mother f***** Chmelnitzky, is on their $5 bill today; and the Ukranians are obviously proud of him. 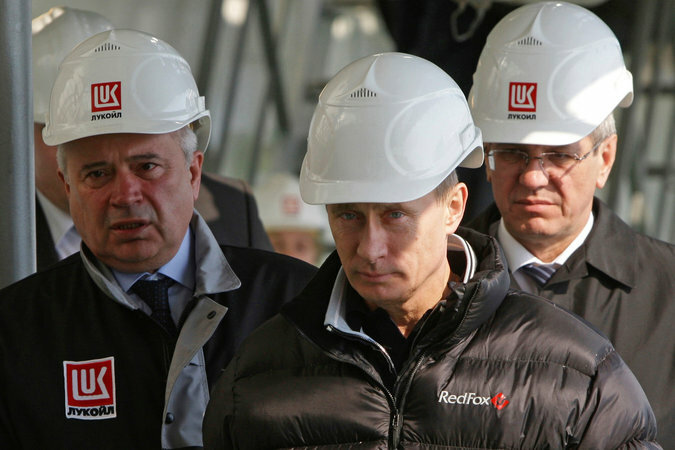 The Russians and the Ukranians should all drop dead–and I will celebrate those events!!! Cowardly perversion by a few with lesser brains. Decency…Respect was never their strong suit.. Even if these events are sinister contrivances of Russian annexationists wanting to make ethnic Ukrainians look bad, the fact that either side, in this conflict, feels free to resort to anti-Semitism, and that both sides know full well that anti-Semitism catches on like wildfire in this region,confirms what others have already said here: That it is folly for Jews to remain in this part of Eastern Europe. The mass exterminations of Jews in the forests of Volhyn (including 2 of my sisters), often at the hands of Ukrainian Nazi collaborators, bespeaks what appears to be nearly a genetically programmed hatred of Jews, in that region. . .I wish it were otherwise. .The time to evacuate is now. It is time to get out of any country were Jews lives are threaten, Israel is the homeland and today there are no excuses for a big tragedy. “Never Again means Never Again.” One more reason for Israel to remain a Jewish State…a Jewish Nation… a Jewish Country. This is precisely why Israel must be the Jewish homeland. Just one fascist and so many frightened chickens? My uncle Meyer Goldsheider did not run away, he fought the Nazi occupation as a partisan. Not a moment too soon for Jews to leave this country that has persecuted Jews for over 100 years. Nothing will change there until the last one is out. Then the Ukrainians will be able to blame us anyway, but can’t hurt anyone. They murdered 100?s of thousands of Jews during WWII, why does anyone think this was a passing fad. It is time for the Jews to get out of Russia, the Ukraine and any of the countries in the former Soviet Union. You only encourage other mindsets to add to the shame…As you sit smug else wear. Not helpful in the least. “Their Mothers, their Fathers” – or maybe even ours – a movie that tries to promote thinking about the triteness of the reality of an evolution of crime as a worm that eats into what looks like civilized normalcy. These days in New York we host the Carnegie Hall Festival “Vienna City of Dreams” which is a celebration of culture of the last 100 years which is in effect the time-span since the break out of WWI on June 28, 1914, and as a matter of fact includes also WWII. To above Festival The Calgary, Alberta, CHUMIR FOUNDATION for Ethics in Leadership contributed a three events Symposium – “Vienna’s History and Legacy of the Past 150 Years” – and this morning coincidentally I received the Uri Avnery mailing about the German Film “THEIR MOTHERS, THEIR FATHERS” that is being shown in Israel. We find it all connects – and we start looking into this by bringing here the Uri Avnery article. Also, these days the Peace Islands Institute, which is connected to a Turkish Cultural Center, had its own events in New York of which one – linked – without mentioning it – to the previous mentioned events – it was a panel on Intergovernmental Relations among Balkan Nations & The EU with the participation of the Ambassadors to the UN from Bulgaria, Albania, Kosovo, and Macedonia, chaired by the President of the Federation of Balkan American Associations, that followed a similar earlier event that included Serbia, Bosnia & Herzegovina, Montenegro, and Croatia but never looked at Slovenia or Austria. Then the same Peace Islands Institute followed on its studies of the three Abrahamic religions with a first inroad into Muslim – Buddhist understanding after quite successful previous activities into ethics of Muslim -Jewish mutual acceptance. These days such are events happening in New York. THE 90 year young URI AVNERY NEVER ENDED HIGH-SCHOOL BUT HE IS NON-DISPUTABLE ISRAEL’S GREATEST JOURNALIST AND MOST FAMOUS EX-MEMBER OF THE KNESSET (PARLIAMENT). WHO COULD SAY WHAT GERMANY LOST – IF NOT FOR HITLER – HE WOULD HAVE HIMSELF BEEN NOW A SECULAR COMPLETELY ASSIMILATED GERMAN? On Sochi Day The Brits remind us of the London Glory: Will the British Federation Survive to 2015 – or there will be an independent Scotland as part of the EU and some Anglo-American trans-Atlantic alliance? What future for the Russian Federation with its Islamic components sandwiched between the EU and China? “We want you to stay,” said Mr. Cameron, an entreaty that signaled a shift from the current pro-union campaign, which has featured dark warnings about financial and legal difficulties for Scotland should the Scots vote for independence. With seven months to go until the vote, he said, the outcome is up in the air. Mr. Cameron does not want to be the prime minister who lost Scotland and began the breakup of the United Kingdom, even as he has promised Britons a similar referendum during the next Parliament on remaining in the European Union. Without Scotland, Great Britain would be considerably less great, he argued, and would be faced with new problems about borders and income, even about where to base its nuclear submarines. The British prime minister, David Cameron, speaking in east London on Friday. Mr. Cameron chose the velodrome at the Olympic Park in east London for his first major intervention in the Scottish referendum campaign, trying to appeal to the national pride that surrounded the highly successful Summer Olympics here 18 months ago. Then, Scots were prominent in what was known as “Team G.B.,” and one of the local heroes of the Games, the Scottish tennis player Andy Murray, is known to favor remaining in the union. Mr. Cameron focused on the importance of the “powerful” United Kingdom brand and how much it mattered in the world, and how it could be damaged. 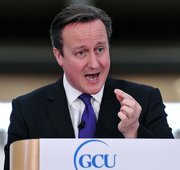 Scottish independence would “rip the rug from under our own reputation,” Mr. Cameron said, arguing that “we matter more in the world together” — the same argument used by Britons who want Britain to remain in the European Union. “We would be deeply diminished without Scotland,” he said. He pulled out all the Scottish stops, citing the Scottish Olympian Chris Hoy, Sir Arthur Conan Doyle and his own West Highland heritage. He also mentioned Scotch whisky, saying it “adds £135 to the U.K.’s balance of payments every single second,” which in another context might be an incentive for Scots to vote for independence. However, with Britons anxious about making ends meet, Mr. Cameron did not mention Adam Smith, the Scot famous for his theory of the “invisible hand” of the free market. About four million people over the age of 16 and living in Scotland will be able to take part in the referendum, promised by the governing Scottish National Party, on Sept. 18. Scots living outside Scotland cannot vote. Early opinion polls have shown a large plurality of Scots intending to vote to remain in the union, but the numbers are soft. In some recent polls, greater numbers have said they intend to vote for independence. Given the unpopularity of Mr. Cameron and his Conservative Party in Scotland, which is dominated by the Scottish National Party and the opposition Labour Party, Mr. Cameron has been wary of intervening too much in the debate, fearing a counterproductive effect. The pro-union campaign, which is meant to be nonpartisan, is led by Alistair Darling, a Labour member of Parliament from Scotland and former chancellor of the Exchequer, who had a cabinet post during the entire Labour reign from 1997 to 2010. Mr. Darling and his team have been emphasizing questions about whether an independent Scotland would have to reapply to join the European Union, whether it could continue to use the pound or adopt the euro, whether it would have a truly independent central bank, and even whether oil and gas revenues from declining production in the North Sea would be enough to fund Scotland’s budget. The immediate response from the Scottish National Party to the excerpts — the “preaction,” as one BBC radio announcer put it — was predictably critical, accusing Mr. Cameron of being afraid to come to Scotland and debate the party leader, Alex Salmond. Mr. Salmond called Mr. Cameron “a big feartie,” or coward, for refusing a face-to-face debate. Leaked Recordings Lay Bare E.U. and U.S. Divisions in Goals for Ukraine. BERLIN — “Really Pretty Stupid” was the headline chosen by the august Frankfurter Allgemeine Zeitung on Friday to describe an editorial on the latest eruption between the United States and Europe, this time over who should take the lead in trying to calm the crisis in Ukraine, and how to do it. The headline spoke to the tensions that flared this week over the release of a recording in which a top American diplomat disparaged the European Union’s efforts in Ukraine. On Friday, a second recording surfaced in which European diplomats complained about the Americans. But it was also a reflection of the disarray that has marked much of the West’s dealings with Ukraine since late November, when President Viktor F. Yanukovych spurned a pact with the European Union. He then turned to Russia for a $15 billion aid package that the Kremlin has since suspended because of continuing antigovernment protests in Kiev, the capital. With strategic considerations uppermost in American diplomacy, the United States helped, for instance, to rid Ukraine of old Soviet nuclear weapons. Europe, meanwhile, saw opportunities for trade. As the European Union expanded eastward with the inclusion of Poland and Romania, the perception grew that neighboring Ukraine needed formal ties to regulate commerce and legal systems to facilitate the growing cross-border transactions. In 2012, Poland and Ukraine were even joint hosts of the continent’s premier sports event, the European soccer championship. Russia, which has centuries of shared history with Ukraine and under Vladimir V. Putin has grown ever more painfully conscious of its loss of Soviet empire, looked on with mounting suspicion, and now seems to be intent on exploiting Western disarray. The release of the recordings has further roiled the waters. 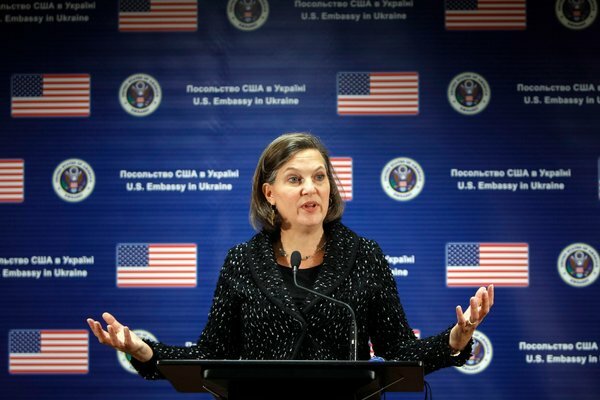 In the first one, posted anonymously on YouTube, Victoria Nuland, the American assistant secretary of state for European affairs, profanely dismissed European efforts in Ukraine as weak and inadequate to the challenge posed by the Kremlin. 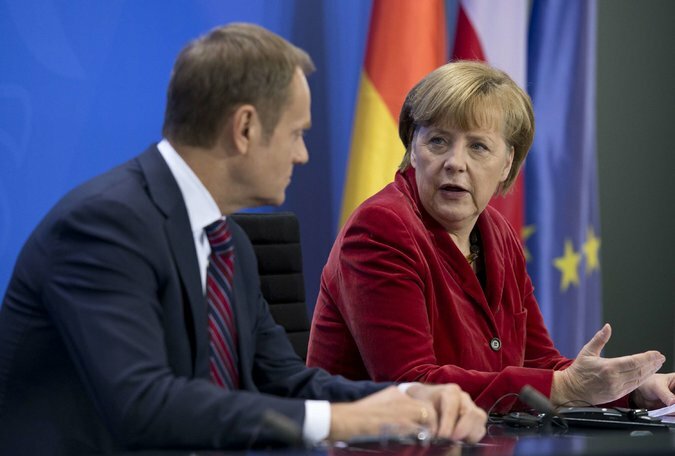 On Friday, a second recording was posted that featured a senior German diplomat, Helga Schmid, complaining in her native tongue to the European Union envoy in Kiev about “unfair” American criticism of Europe’s diplomacy. “We are not in a race to be the strongest,” retorted the envoy, Jan Tombinski, a Pole. “We have good instruments” for dealing with the crisis. Yes, replied Ms. Schmid, but journalists were telling European officials that the Americans were running around saying the Europeans were weak. So she advised Mr. Tombinski to have a word with the United States ambassador to Ukraine, Geoffrey Pyatt, the man whom Ms. Nuland was talking to in her recorded conversation. While the Obama administration accused the Russians of making mischief by recording and then posting the Nuland conversation, neither the European Union nor Germany blamed the Kremlin for the second recording. Germany, as befits its status as Europe’s largest economy and a country with centuries of dealings with lands to its East, has been heavily involved in the crisis over Ukraine. In a speech to the German Parliament on Nov. 18, Ms. Merkel, herself raised in Communist East Germany, emphasized that the Cold War should be over for everyone, including countries once allied with Russia but now independent. She made a forceful case for Ukraine to sign the European pact.Julianne Smith, a former national security aide to Vice President Joseph R. Biden Jr. who is now at the Center for a New American Security, said there was a structural tension between the European Union and the United States because the Americans can speak with one voice and grow impatient waiting for decisions from a union with many voices. The back-and-forth this week illustrates how many interests are a part of the mix in Ukraine — a mix that Western diplomats seem unable to keep free of their own differences. The New York Times will cover the Sochi Competitions and all what happens on location so you can sit comfortably in your home base. We applaud! Essential news about the 2014 Winter Olympics from New York Times reporters and editors. A team of journalists for The New York Times is fanned out at Olympics venues on the coast of the Black Sea in Sochi (the indoor ice sports) and in the Caucasus Mountains in Krasnaya Polyana (the sports that need snow). They will give you a daily report that will keep you apprised of everything worth knowing about the Winter Olympics. Like, are the hosts properly prepared as the opening ceremony nears? Did a famous oligarch bankroll the Russian biathlon team? And why is there a cemetery in the middle of the Olympic Park? We’ll highlight notable results, point to emerging story lines and preview coming events. There will be spectacular photography, immersive graphics and ground-level reporting. We’ll get you in and out in under 60 seconds, and you’ll feel like an expert. An Old Game That Makes Things Disappear: An Exercise in Nostalgia. When I was a little boy we played silly games. A game that made things disappear. The Great Magician was a boy from the Waechterweg. He asked we bring some object of value from home and he would make it disappear. And the object was gone. Hardy Breier of the Czernowitz and Sadagora Jewish History and Genealogy Site.